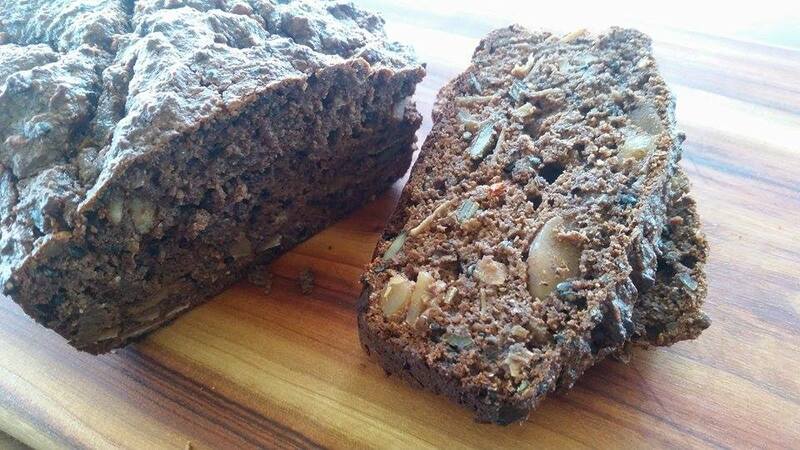 A healthful protein enriched tasty chocolate loaf! 1. Heat the oven to 170° C.
2. Place all dry ingredients in a mixing bowl and stir to combine. 3. Combine the wet ingredients separately. 4. Add wet ingredients to the dry mix and stir until well combined. 5. Bake in a loaf tin, lined with baking paper, for approximately 40 minutes.